Do you guys have them in stock at the shop? Maybe I'll take a drive over the hill. For those who have made a purchase and received all of what is described on the website minus the quick releases will receive the quick release at a later date or is this extra? The site includes it. Are you guys planning on attending Sevenstock? If so maybe I'll try to hook up with you on the way down. Also if you're going, bring a seat bracket for a brotha. I'll bring some dough. Sorry for the confusion guys, the current product page was quickly updated to remove the option to purchase the quick release mechanism. This is just for the bracket mount itself (which is now compatible with the H3R included strap style mount). The quick release mechanisms will be available later this year at a discounted price after we finish re-working the mechanism and get it through production. If you purchase the bracket now (we're unfortunately starting to run low after sending out over 50 brackets so far) you will be able to purchase the quick release mechanism to add on later this year. These will not fit aftermarket seats. For aftermarket seats please purchase the rear trunk mount version. 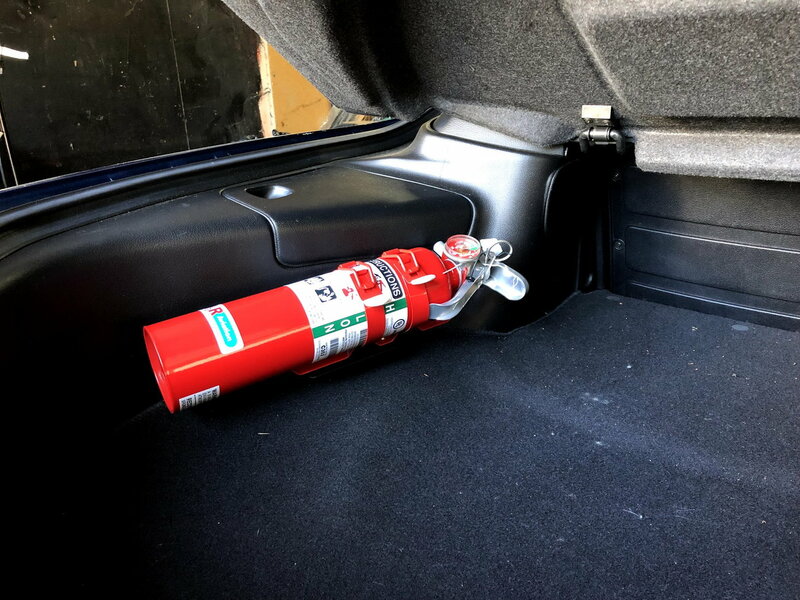 We are hoping to incorporate an optional add-on fire extinguisher mount into our FD seat mount for the Recaro Pole Position Seats (group buy going on currently in the 3rd Gen Section as well). Hopefully we can make it work, but I can't make any guarantees at this stage in development. Last edited by SakeBomb Garage; 10-30-18 at 02:43 AM. If you can do this then i will def purchase. For now i will back out of the seat mount bracket since i will likely get the recaros. Are there currently any updates for when the quick release mechanism will be released? I hate how the regular mount digs into my seat. The trunk mount is great. Any update on the quick release? Still waiting patiently for a quick release since October. C'mon. This is over a year old.